The Foundation Center of Atlanta is partnering with the Georgia Humanities Council to host an event with Fuller Center for Housing co-founder Linda Fuller 9-11 a.m. Friday at Georgia State University’s Brown Room, 34 Broad St. NW, in Atlanta. 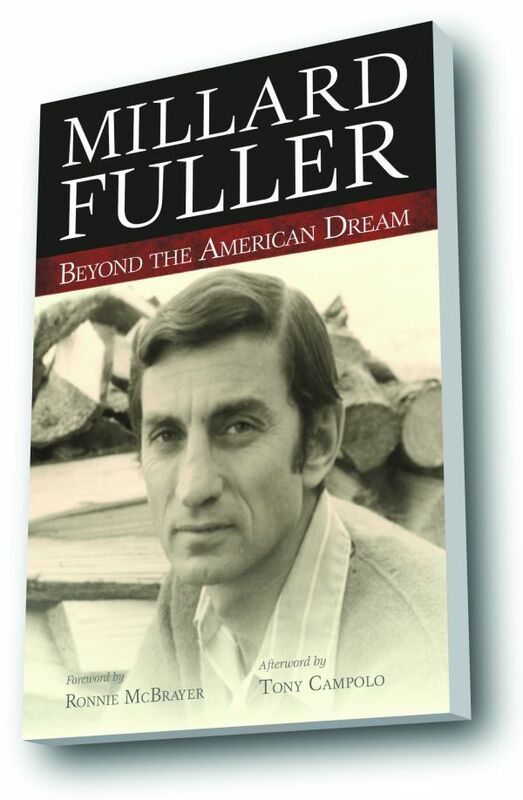 Georgia Humanities Council President Dr. Jamil S. Zainaldin will talk with Linda about Millard Fuller’s memoir, “Beyond the American Dream,” her contributions and the decisions that led the couple to start the world’s most effective affordable housing ministry. “Beyond the American Dream” was published last year from a manuscript Linda discovered in the wake of Millard’s death in 2009. The autobiography chronicles Millard Fuller’s first 30 years, including how he rose from a simple childhood to self-made millionaire at age 29, only to give away his fortune to save his marriage and seek a new mission in life. But after Millard’s death on Feb. 3, 2009, Linda rediscovered the 40-year-old manuscript in the back of a filing cabinet. It was published last year. “The Foundation Center is the world’s largest repository of foundation information, and strengthening the social sector by advancing knowledge about philanthropy is at the core of our mission,” said Val Porter, director of the Foundation Center. “Each year we collect data on thousands of foundations around the globe and serve thousands of nonprofits in the field. And we are proud of that work and the many that rely on us for accurate data. Jamil Zainaldin, Ph.D., conducted his undergraduate and master’s studies at the University of Virginia and then earned his doctorate in history from the University of Chicago in 1976. He taught at Northwestern University and Case Western Reserve University before shifting gears and joining the professional staff of the Coungressional House Select Committee on Aging in 1980. In 1981, he became a research director for the Administration on Aging where he completed a book-length literature survey on low-income elderly and public policy. He then spent four years at the American Historical Association, where he served as assistant director and then deputy director. Zainaldin served as executive director of the National Endowment for the Humanities from 1986-97. In 1997, he became president of the Georgia Humanities Council in Atlanta. During Zainaldin’s tenure, GHC has continued to grow and is today a cultural leader in the state and a pioneer nationally in innovative history and humanities programs. He played a leadership role in the development of the "New Georgia Encyclopedia," among the nation’s first exclusively Internet-based state encyclopedias for a public audience that also has won national and state recognition. He helped organize a series of innovative humanities leadership programs convened at the Carter Center (1988-2004). He co-founded the Georgia Center for Character Education (1998-2002) as part of a statewide initiative with the Georgia Department of Education, and he is widely involved in public humanities programs in Atlanta and around the state.